Being the biggest casino, Voodoo has a whopping 26 table games to choose from, featuring Blackjack, American Roulette, Texas Hold ‘em, four and five card Poker. This time we tested our luck on a few of the 116 slot machines, hoping to get the special jackpots for players (we didn’t). Betting starts at 2 lats, or 5 lats on weekends, for card games and 0.50 lats for Roulette. The theme of this casino offers a kooky voodoo style featuring giant masks, hypnotic swirling carpets and animal print sofas. Blood red lighting and more fantastic rock formations complete the look of a mysterious magical atmosphere. 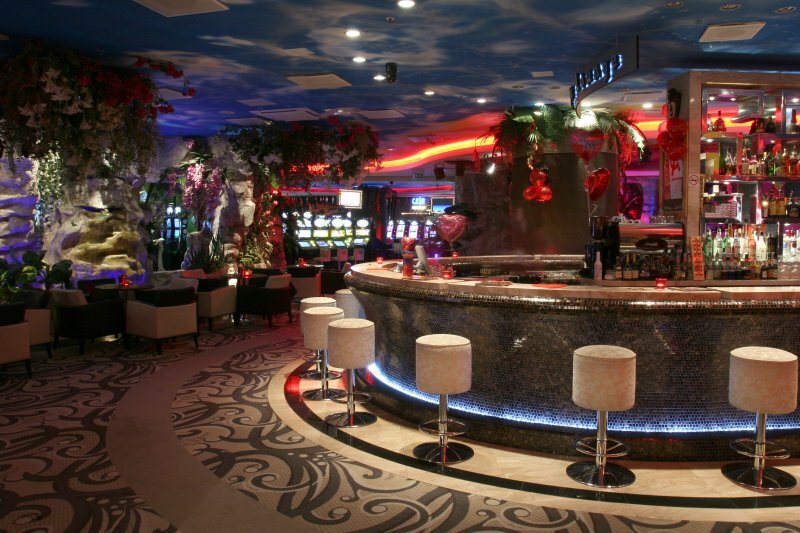 It’s the largest casino in Latvia, offering plenty of room to chill out with a drink, or join in the gambling action. This may not be to the taste of those who like a more personal touch, but it’s great for those who like a bustling crowded atmosphere, especially on weekends. There’s also more of a commercial vibe, with top 40 music punctuated by advertisements playing over the loudspeakers.